.. Some folks who tie flies specialize in the wee ones. Others specialize in the wiggly ones with rubber bands. 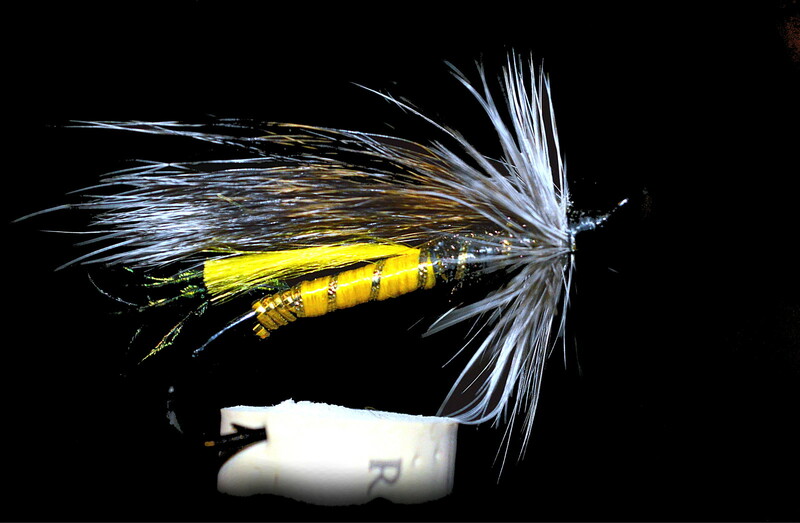 Some work on big flies with many whole feathers. A few even pick apart feather fibers and marry them into new feathers - or some such. It's all a fascinating bit of craft designed to fool creatures with pea sized brains. .. These fish remember that very food source for quite a long time. Even deep into their natal waters. We love the General Practitioner for big fish with long memories. 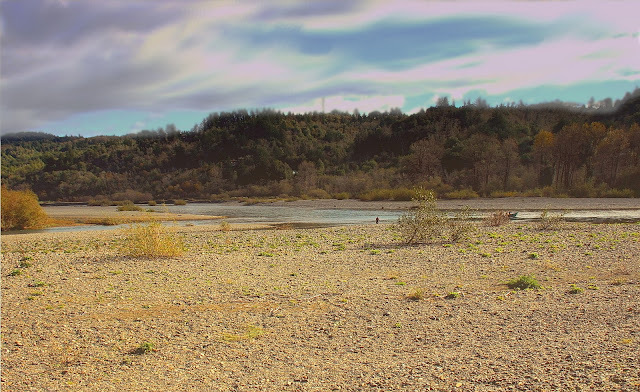 We once caught a harbor seal on this fly, (perhaps saving a steelhead.) [[A couple of links for the GP and Esmond Drury: #1, #2.]] The GP is good for scaring our local trout as well. .. Should we need to fool a local trout, (rather than scare it,) we tie on some very small bits of feathers. 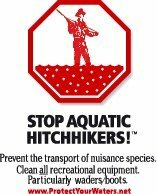 The neighborhood trout are lucky to live in fairly fertile waters. The Hebgen Tailwater fishery, (known locally as "Between The Lakes,") seldom freezes solid and is blessed with nutrients from the reservoir. .. This time of year the trout Between The Lakes are gifted with masses of wee bits of protein. Immature mayflies in the form of small nymphs and the "Snow Flies:" midges of miniscule and diminutive stature. .. We've been gifted with a few dozen dinkers. These flies are from the talented fingers of the neighborhood kids who pity us because of our blindness, poor manual dexterity, and inability to fathom the concept that trout eat what we can't see. The biggest of these flies is a size 14 and the smallest is in the 20 range. 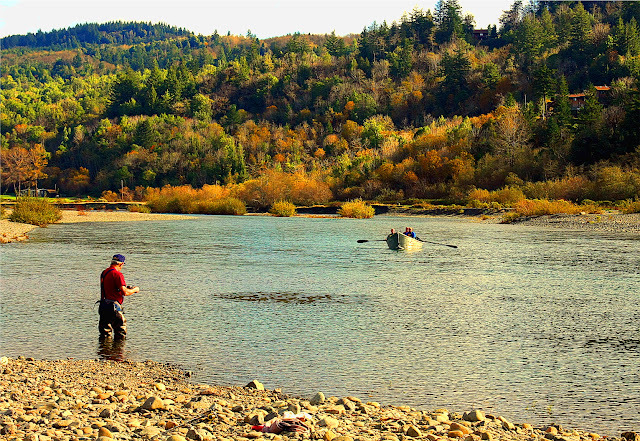 And yes, they take trout with regularity, when fished with aplumb by those that can. We've been assured that pattern is far less important than size and presentation. .. Off we go - pattern be damned. 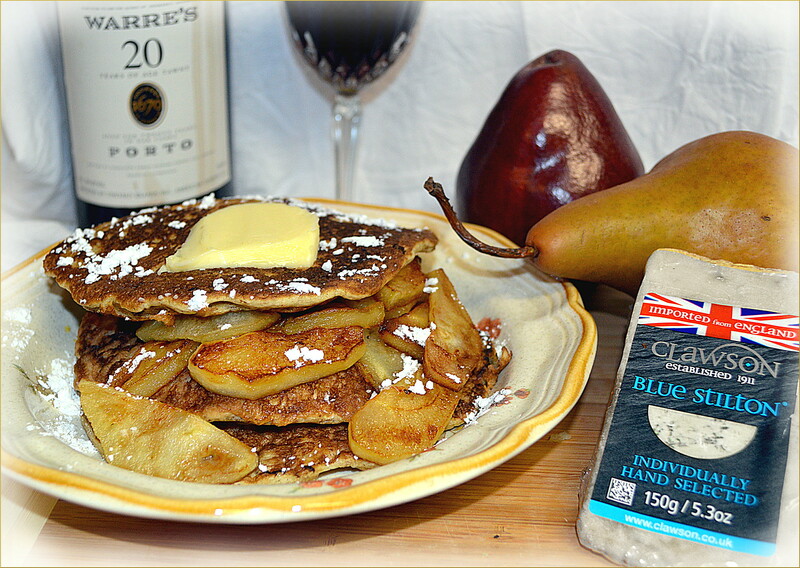 Sourdough Pancakes, Sautéed Pears, Stilton Cheese, Butter, Sugar, 20 Year Port: Start The Day With Dessert. 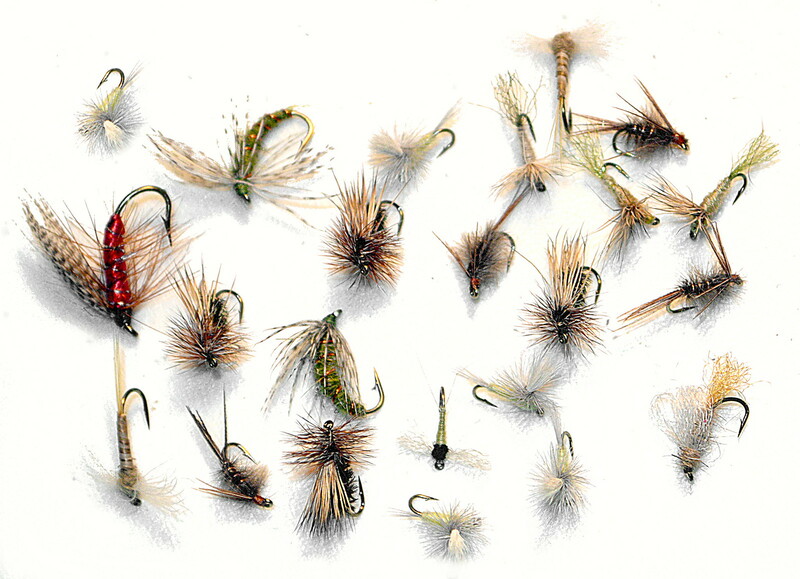 .. Midges are high on the list of trout foods between the lakes on these crisp sunny days. We're ignoring it for now. Hebgen Reservoir is frozen solid and the local teams are exploring the good spots in anticipation of the upcoming NAIFC Tournament. We're ignoring the ice too. 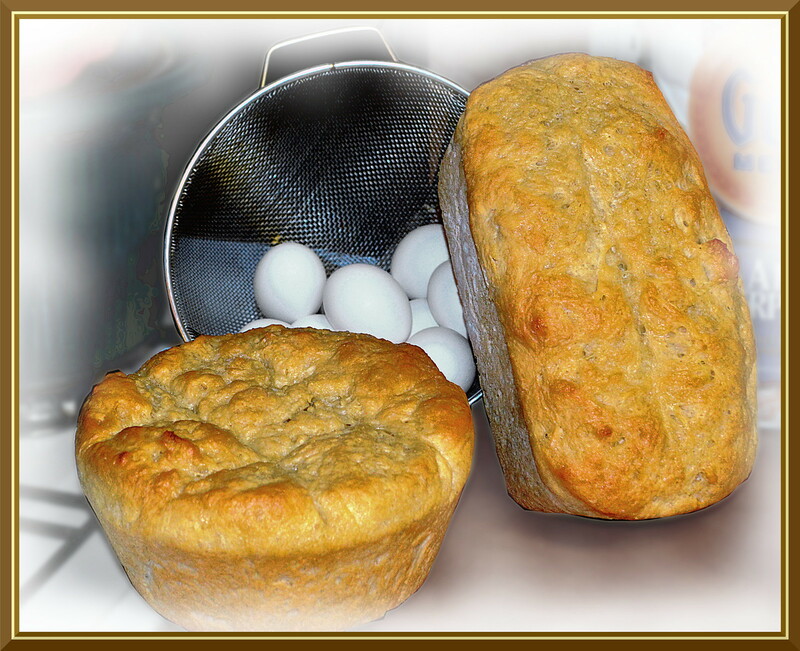 .. We slept in and started the day with dessert: some snow shoveling, house cleaning, fly tying, baking, sipping, and lounging rounded out the day. The day was interspersed with trips to the couch and a few select DVD's. .. We may do it again tomorrow. .. Poor Mr. Feierabend. Fine design but neglected care. 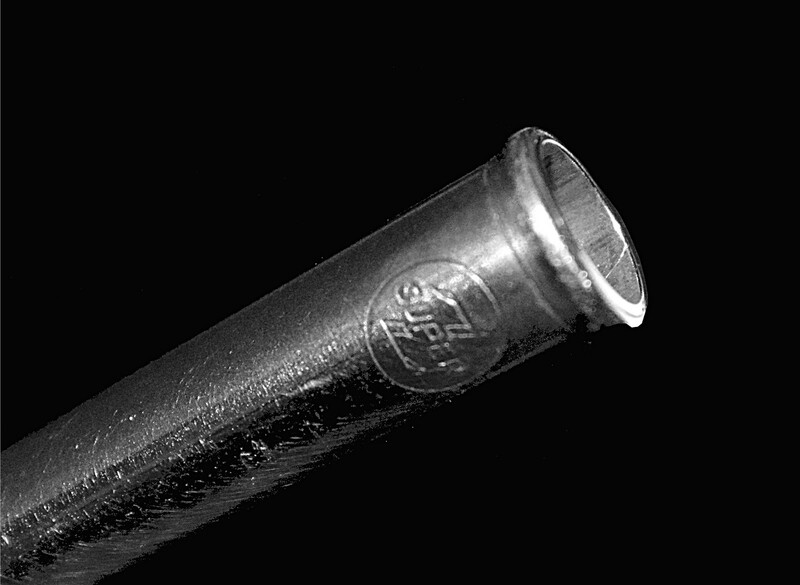 Without proper use, care and maintenance the mating parts of ferrules get gouged, scraped, scratched, galled, and even bent. -- Ancient rods, old rods, even fairly new rods can exhibit this kind of abuse and degradation. If left to itself, without attention, this can lead to a stuck rod - or worse. .. Replacement is often the only remedy if the abuse continues and the condition is neglected. Sad but true. 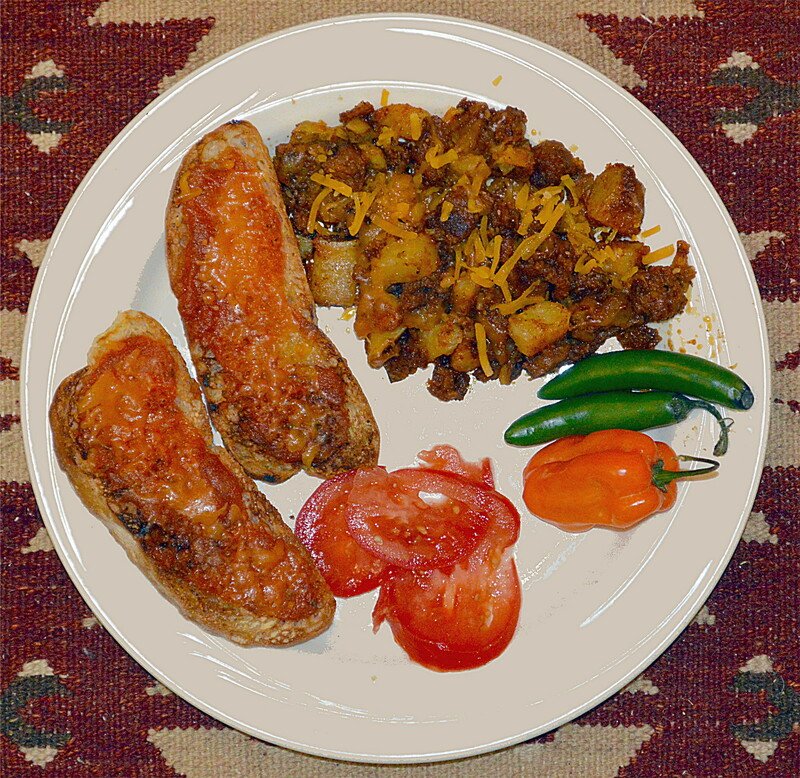 .. Chorizo con Papas is seldom encountered in this corner of Montana: this Mexican dish is a staple among our neighbors. .. 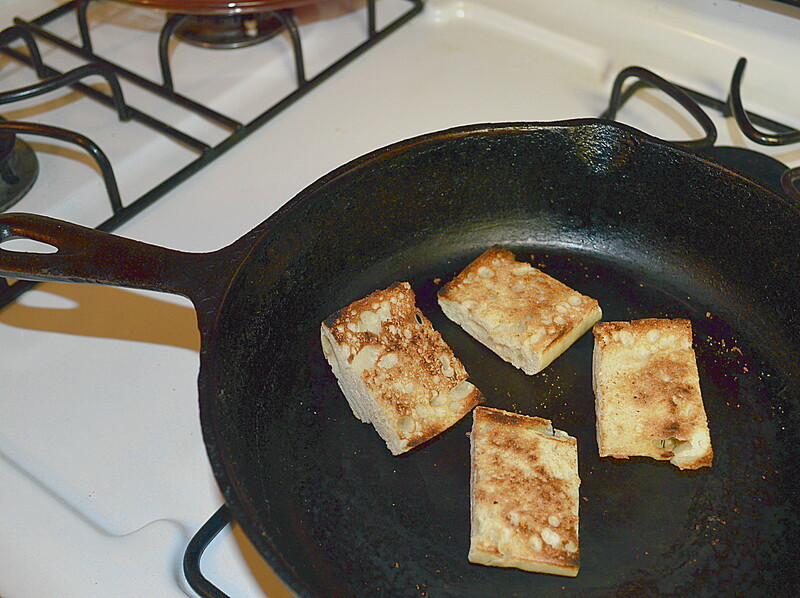 It's approximately equivalent to American "hash," but so much more interesting. 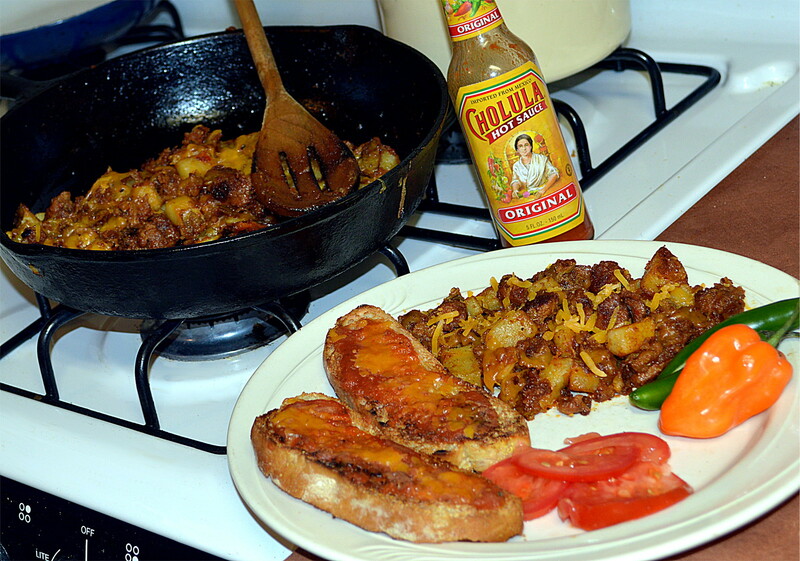 It includes home made chorizo, (of course,) plus guajillo chiles, chiles de árbol, white onions, yellow onions, cilantro, boiled and browned potatoes, topped with cheese, and most definitely a small bit of habanero chili. 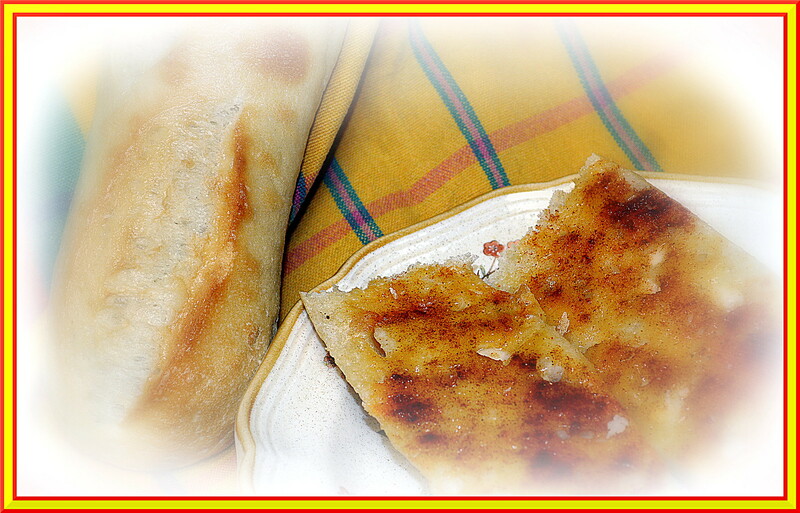 .. We serve it with a bit of pan roasted Mexican garlic bread and tomatoes. We also make enough to serve tomorrow morning with huevos rancheros - or scrambled if you like. ..Wish we were there now. .. These guys have stopped little tuna, barracuda, and big sailfish. Time for giant salmon. 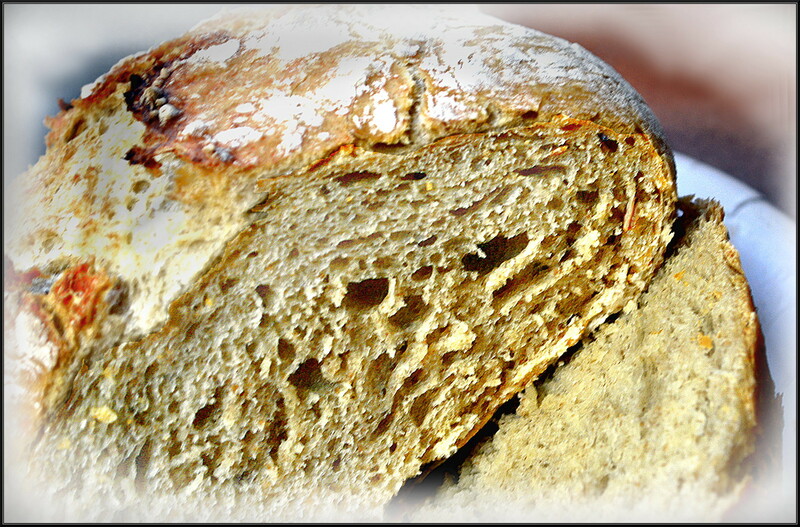 .. Pan-roasted bread is full of flavors that have been lost in translation with the modern toaster. 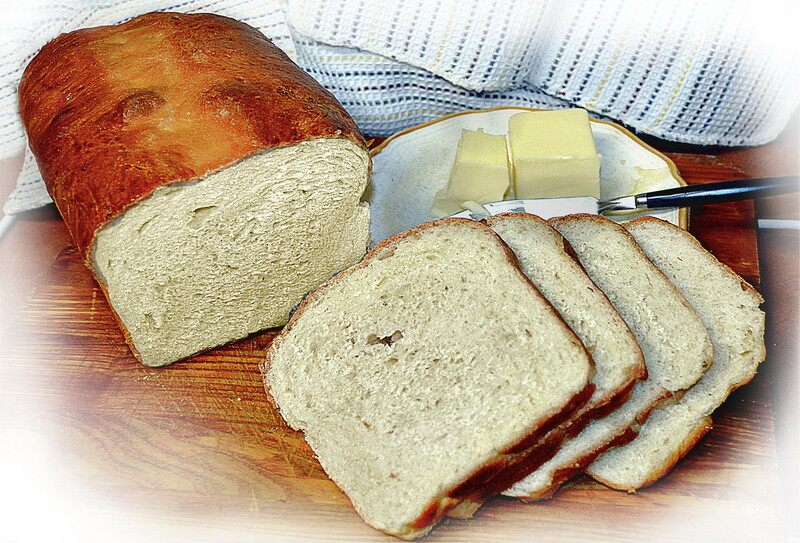 Pan roasted bread also forms the basis for many recipes that are just not the same with contemporary toast. .. Tapas, straight from Spain, are available in our village and we're pleased with that. A Nod To J. C.
.. 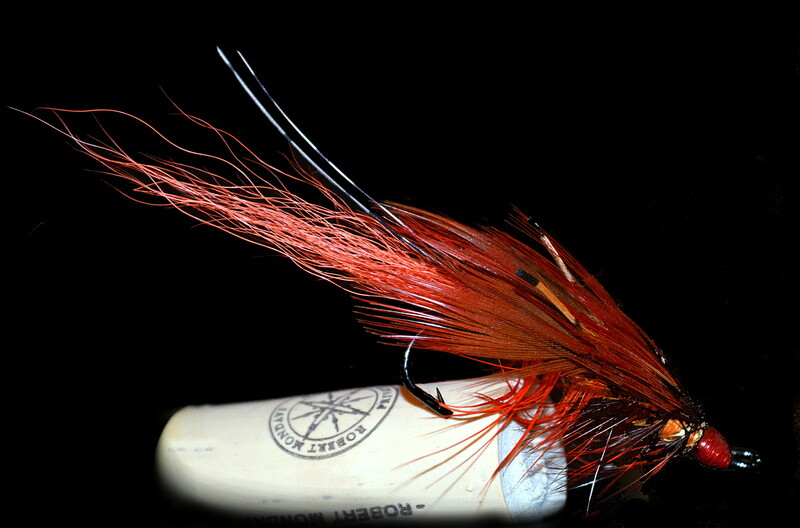 The Rusty Rat lives today, (in all it's variations,) because it has a fine name, is easy to tie, and catches fish. It's rather attractive too, and that can't hurt. .. 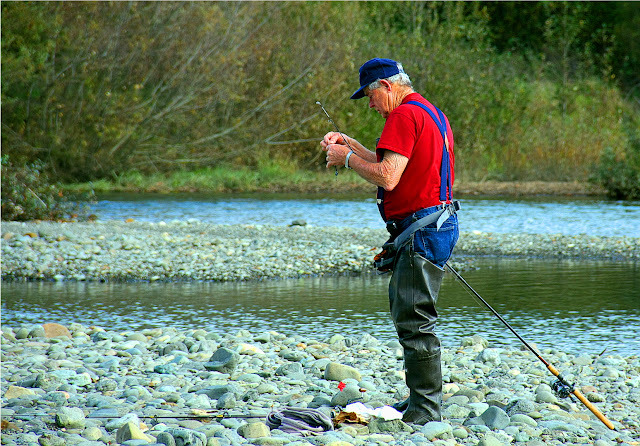 Along parts of the left coast of the U.S.A. there are cranky folks that tie the fly with a stiff hackle. We won't bother to delve into their twisted rationale. .. So, the season demands snacks and bits and bites of yummy foods. Our culture centers on sweets at this time of year. .. 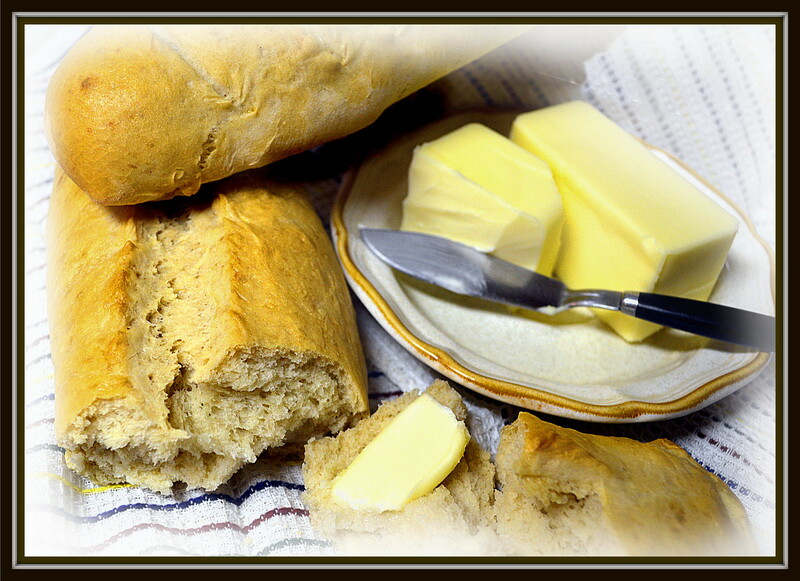 There are other traditions that have perfected the savory side of the palate. 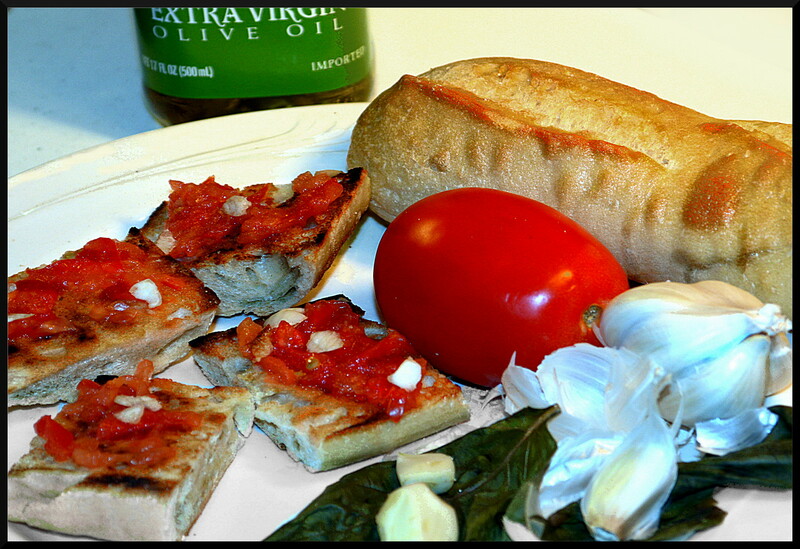 Try, if you dare, combinations of bread, garlic, tomato, paprika, and olive oil. .. 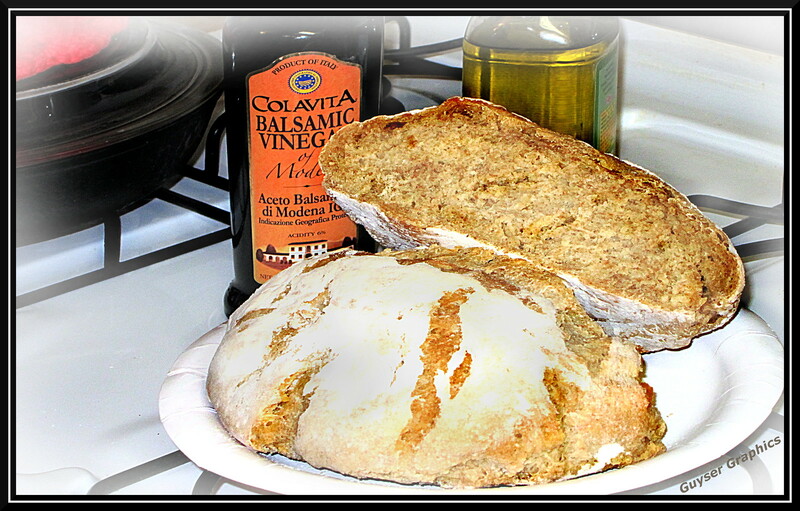 Butter in place of or in addition to olive oil is acceptable should you choose. .. 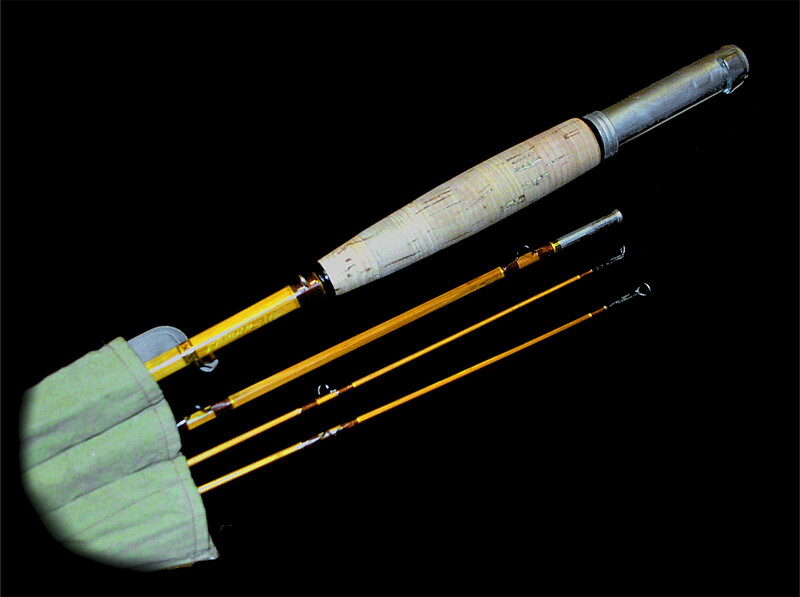 The "short rod," innovative subsurface techniques and flies, perfection of the hexagonal bamboo rod, a revolution in reel quality and function, and the popularity of the pastime, all led to a burst of fly fishing imagery and presence in the popular mind. 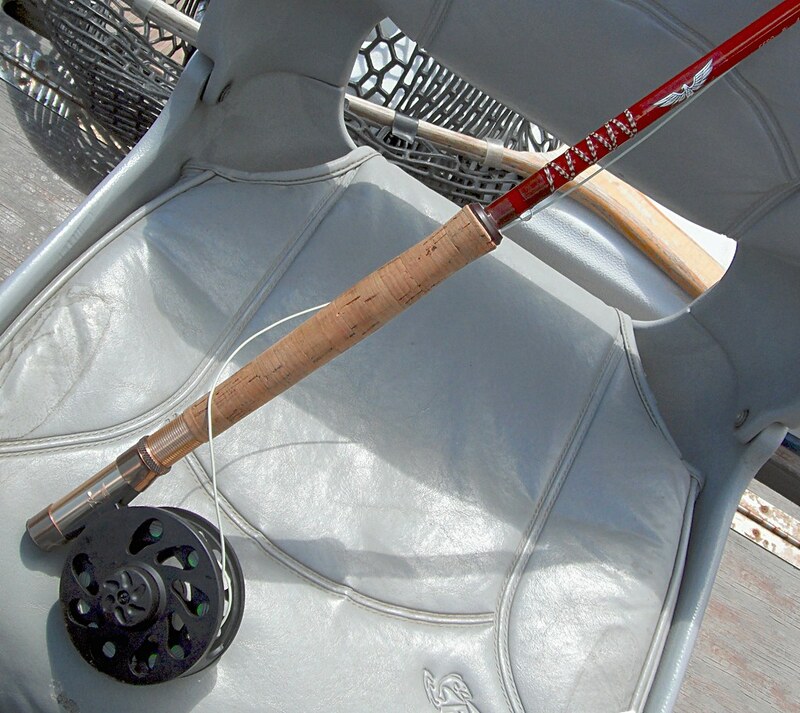 .. Trout rods shrank from 11' or 12' to 9' and less. Salmon rods lost as much as 8' down to 10'. .. 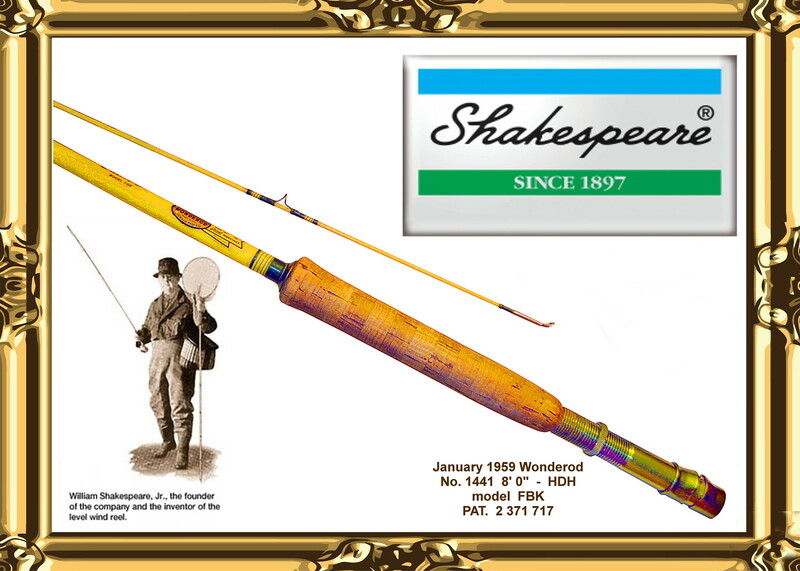 The mass merchandisers got in on the act: Sears Roebuck & Co., J.C. Penney, Montgomery Ward, and the big sporting goods stores peddled fly fishing to the masses. It was a glorious time. .. Great rods were built and great fishers fished them. Mundane rods were built and fishers fished them. Mass production of bamboo rods skyrocketed and they were everywhere. So were fly fishers. ..There are millions of bamboo rods from this era floating around North America and the world. There are thousands of excellent rods still being fished. There has been an interesting resurgence of interest in bamboo in the recent past - and continuing today. 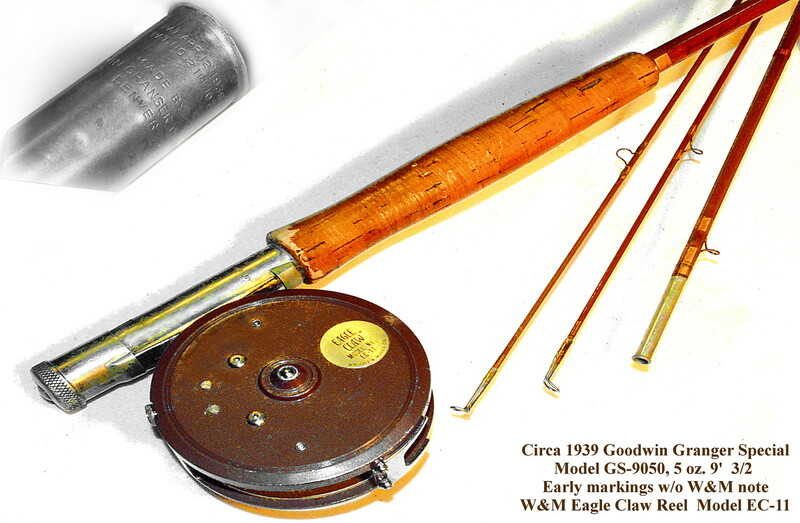 .. We enjoy the reminiscences of bygone days while tending to our tackle. 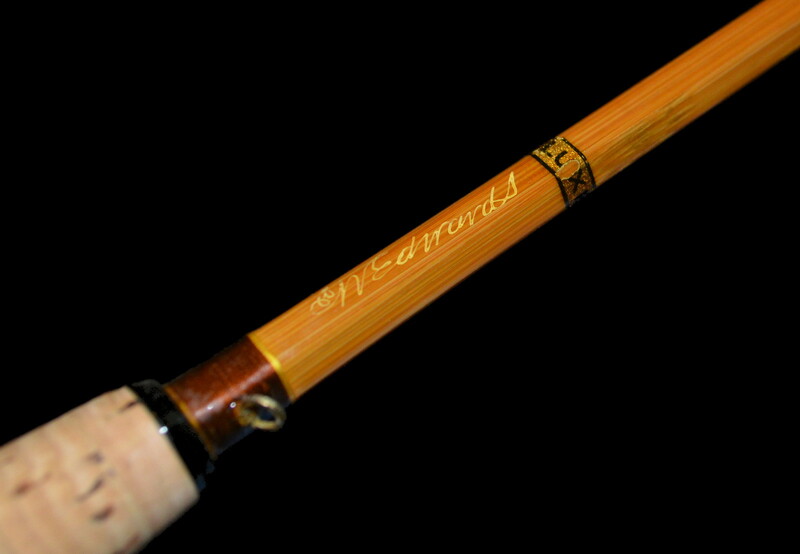 The dispersal of knowledge from New York to the rest of North America is a seminal event in the history of bamboo fly rods. 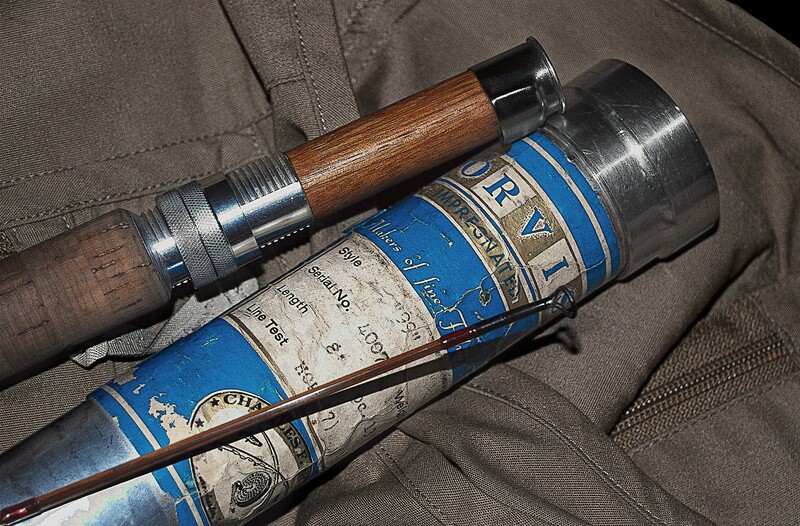 .. Thomas, Edwards, Payne, Hawes, and others provided us all with an opportunity to experience great rod design. 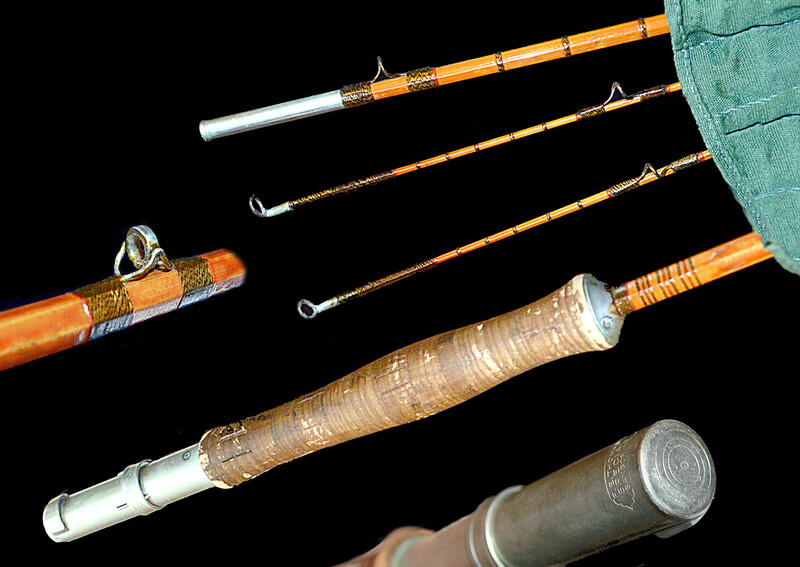 Rod makers today are proud of their recreations of the cherished tapers from the revolutionary period - rightly so. .. Our own reflexes and muscle memories were developed during the great transition from bamboo to fiberglass during mid-century. We've always had trouble with graphite, boron, and other higher modulus pieces. .. We cherish our old glass and bamboo sticks. Rubbing on them calls forth a genie that transports us back. Back to our youth. Back beyond then. Way back. Winter is a good time for this. .. We don't quit fishing this time of year. 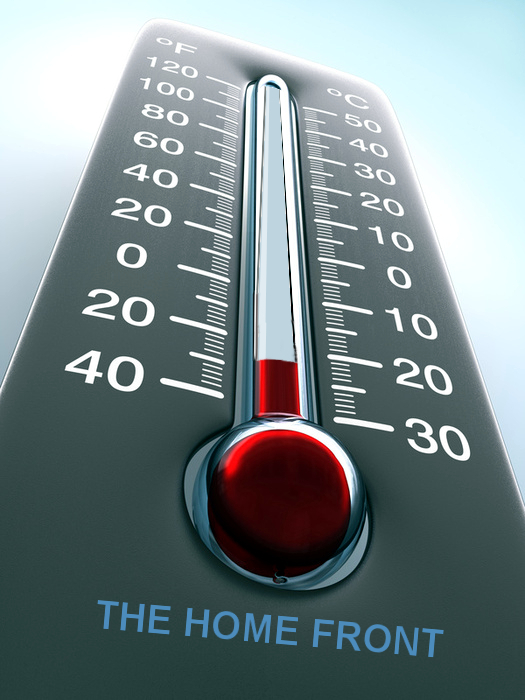 However, -40° F does deter the constitution. 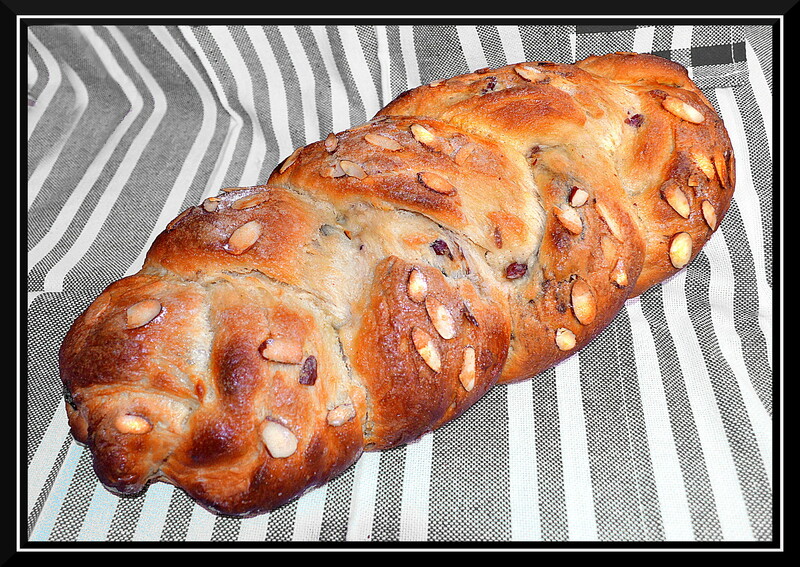 There are, in fact, things to do besides shoveling snow, dodging snowmobiles, and baking bread. .. 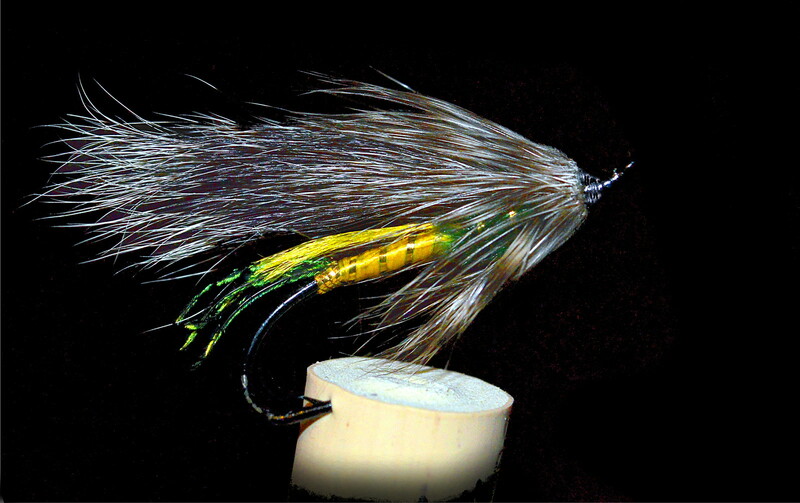 Most fishers call this the fly tying time and that's a perfectly productive thing to do. We'll tie a few gross as well but first it's time to pay attention to the rods and their accouterments. .. Long, long before today we picked up some bad habits. We have since learned some lessons, as we were corrected, and we try to do our duty by the tools of the pastime: rods and reels and flies and lines and other stuff. This is a good time of year to do it. .. For instance: when was the last time you washed your rod sacks? Most fishers never do. This accounts for the dilapidated state of many vintage rod sacks that would fall apart today if washed. If you love your rod, save the old sack for historical or pecuniary reasons but put your rod in a new clean sack and keep it clean. Grime collects - it's a law of the universe - get rid of it. .. All fly rods are vulnerable to nicks. Nicks in the gel coat, nicks in the micro fibers, nicks in the varnish. Fix the nicks. A bit, (very little bit,) of 5-minute epoxy for synthetic rods and a tap of varnish for bamboo. 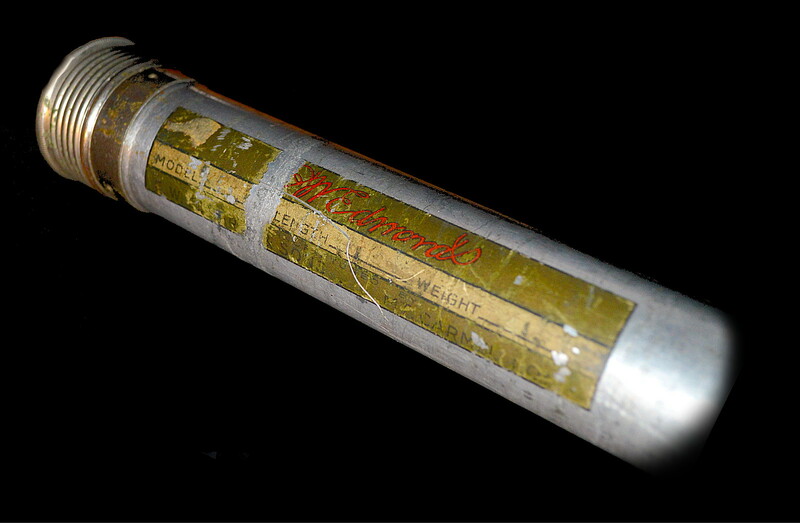 Unless you view your rods as museum pieces they need this kind of careful attention. If you fish them - fix them. 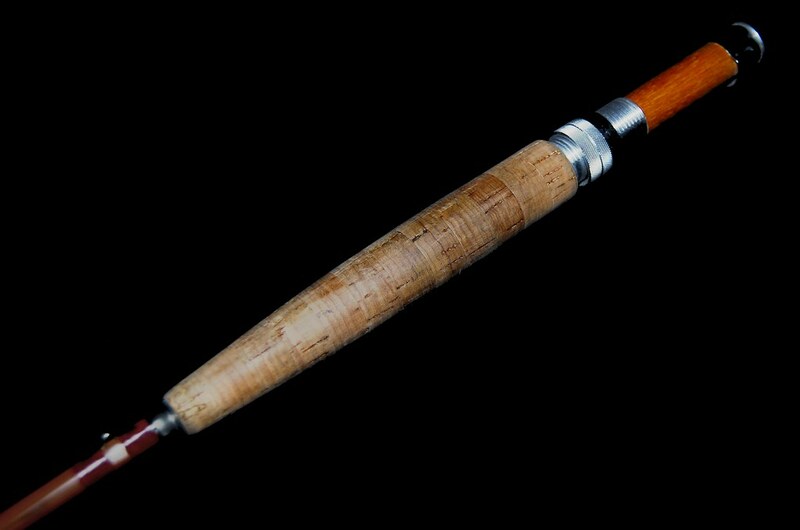 .. More than 50 years ago we received careful instruction how to massage our nose with the male ferrules on a fly rod. The little crease where the nose joins the face was the prime area for lubricant, (and where zits later developed in profusion.) We persisted in this practice for years, (decades,) until it was pointed out that the salt and grime in our skin would corrode the metal. We've stopped doing that but find a strong impulse to repeat it each time we rig up. .. Ferrules, (male and female,) need maintenance. Just keep them clean. Q-Tips and a dab of Vodka should do the job for the female ones. A scrap of clean T-Shirt and some tight rubbing with clean hands should do it for the male ferrules. 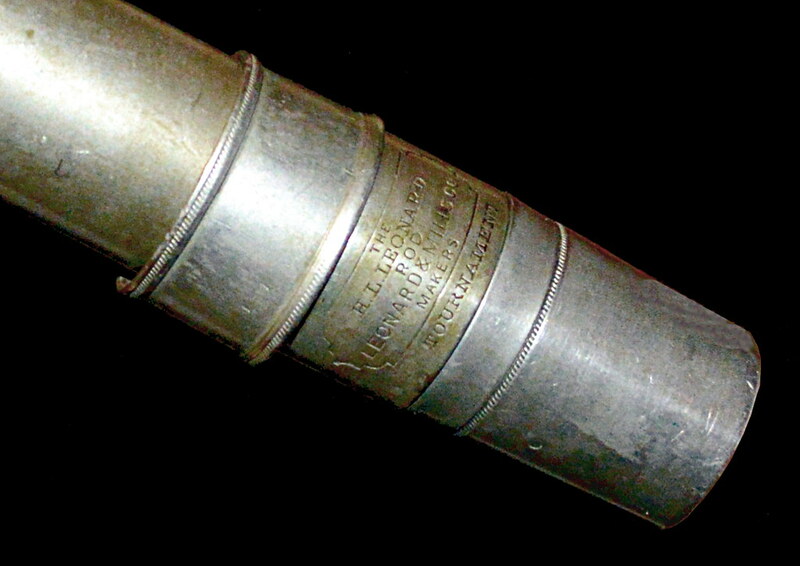 .. Should you not have shiny male, (or female,) ferrules, they have suffered from micro oxidation, (it's really rust.) Use newspaper with the slightest amount of wet tooth paste to shine them. If the tooth paste feels gritty don't use it. If you want your chrome female ferrules to shine be sure to use some painter tape to keep the goo off of the wraps and rod surface. .. Since you never put your rod away wet, and since you hang it from the tip-top, it should only need some cleaning and waxing. .. Wonder of wonders some custom rod makers recommend Turtle Wax. There are other waxes as well. The great god GOOGLE will bring forth many tips on wax for bamboo fly rods. .. We're rather pragmatic. We wash the rod, (fibreglass, steel, graphite, bamboo,) with Murphy's Soap. We rinse it off with warm water and dry it with a Turkish wash rag. We air dry it for a day and then wax it twice with pure carnuba wax: two coats, each a day apart. The old T-Shirt comes into play here. 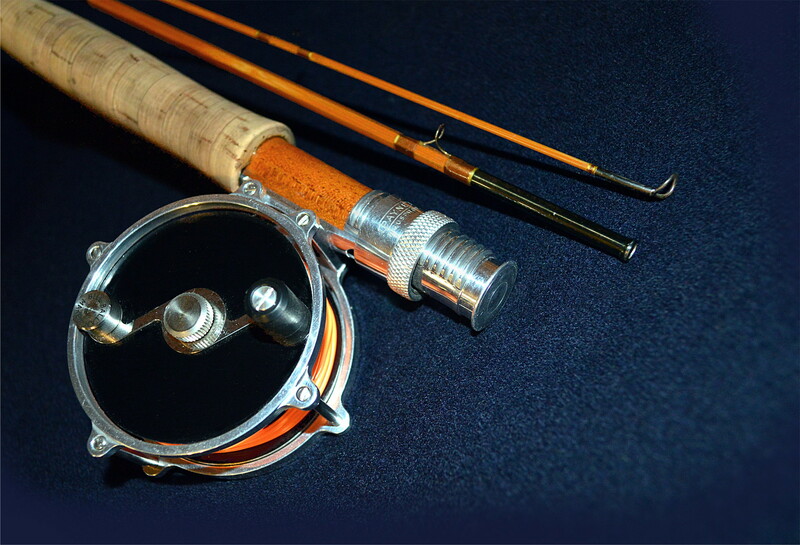 We wax it all: guides, reel seat, tip-top, external ferrule surface, but NOT THE CORK. If the cork needs attention, (it usually does,) it gets washed too - not waxed. .. We hang the rods for a week or two to allow complete drying. Some of the "oldies and goodies" stay hung up until their next use. The rest are put in the clean sack, (with ferrule plugs - or - female ferrules down,) and slid into their tube. No cap on the tube. No tying tight with the stupid strings that the sack makers provide, (they can dent varnish, make the bag stick to the varnish, and worst of all put a bend in the small sections - cut them off.) Many are hung in the sack and out of the tube. .. 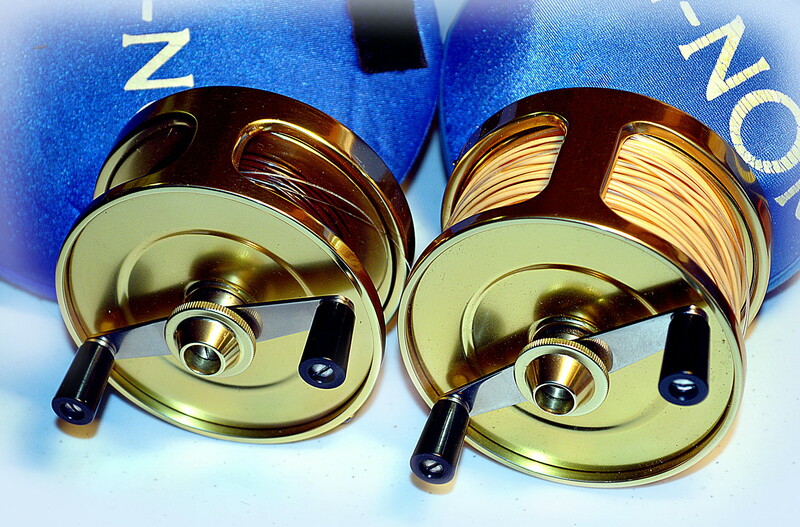 It takes any where from 15 minutes to an hour per rod. So what? Tradesmen often remark that you can tell the quality of the work produced by looking at the condition of the tools used. Telling observation. .. Opinions can and do vary about maintenance. Follow the ones that make the most sense to you. But, at least, do something. YOUR GEAR TOO EXPENSIVE ? Frivolity Got You Down ? .. So your ancient bamboo rod cost $10,000 and it's only been lawn cast because you think you may damage it? .. What if you had a hunk of cotton, wool, silk, goat berries, and camel dung on the floor of your palace? Would you walk on it? Even if it cost $33,700,00.00? .. 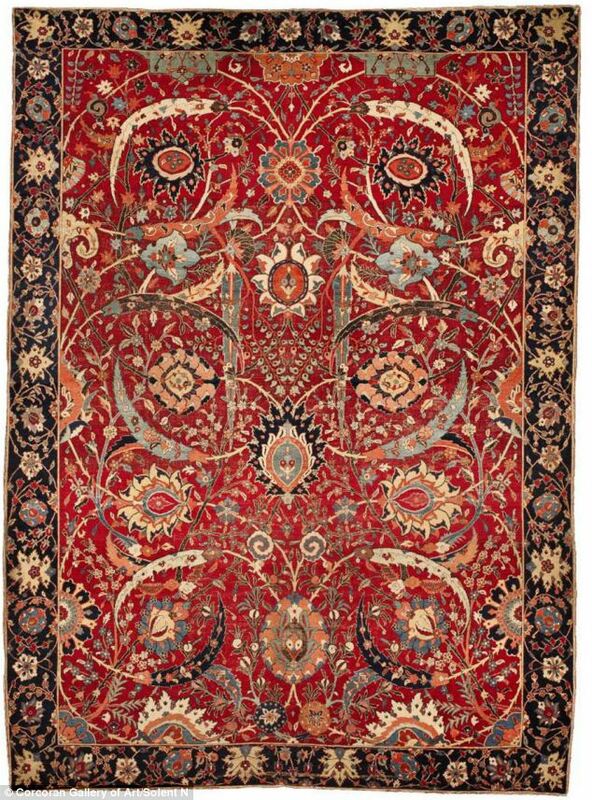 This Persian rug from the 17th century went for about $600,000.00 per square foot. That's about three times as much as the previous record for a rug at auction. The auction was held at Sotheby’s. .. The rug is known as the Clark Sickle-Leaf Carpet and was once owned by Montana Billionaire industrialist and U.S. Senator William Clark. He got to Washington in the time-honored tradition of bribing the state legislature and was reputed to have said: "I never bought a man who wasn't for sale." .. Mark Twain once said of Clark: "He is as rotten a human being as can be found anywhere under the flag; he is a shame to the American nation, and no one has helped to send him to the Senate who did not know that his proper place was the penitentiary, with a ball and chain on his legs. To my mind he is the most disgusting creature that the republic has produced since Tweed's time." ..Clark bought the rug on a trip to the Orient in the early 1900's and donated it, (posthumously,) to the Corcoran Museum in the US capital, Washington DC, in 1925. .. 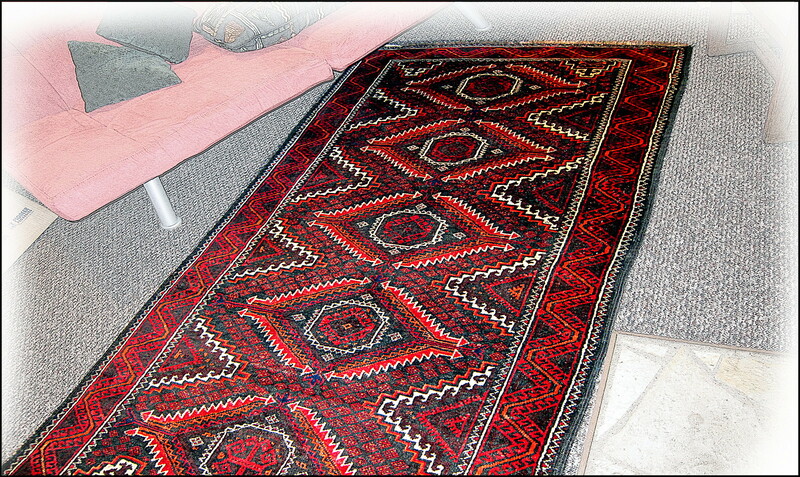 The auction was won by a telephone bid and the suspicion is that the rug is about to be repatriated to the Orient. .. This is a world absolutely unfamiliar to us. We fish our $100.00 rods, walk on our rugs, and have little to leave to any museum. .. Then, again, there are "Fly Fishing Properties" going for that sum and more - perhaps some of the celebrity anglers that own them will leave them to the Museum of the Rockies in Bozeman for us all to enjoy. .. 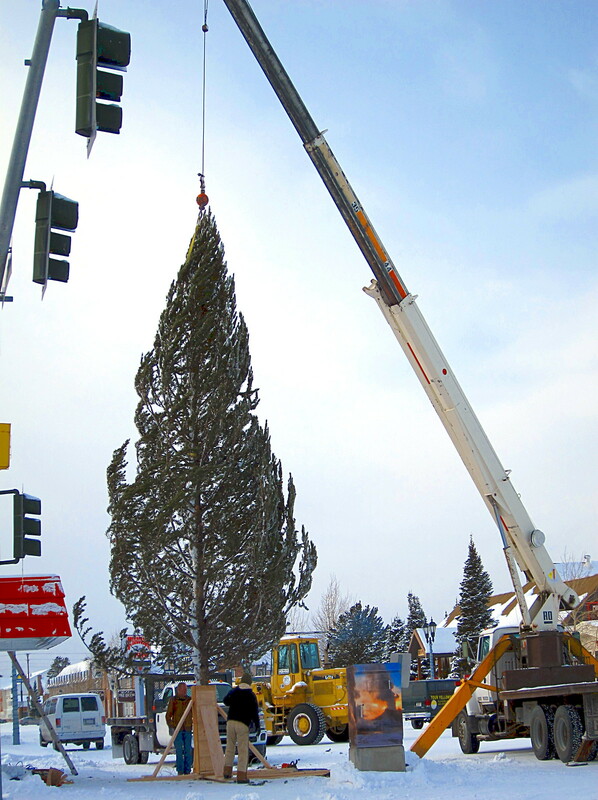 The annual erecting of the village Christmas tree is a solemn occasion attended by the whole public works crew and the resident sidewalk superintendents. .. Throngs of eager neighbors avoid the show in favor of ice fishing on Hebgen Reservoir - it's now frozen and yielding Mountain Whitefish by the bucket. .. This is a grand seasonal tradition.